Why Do You Need a Pharmacy Statement of Purpose? Getting into any college or university program in a competitive field such as pharmacy is never going to be easy. You will be after a limited number of places so your application must truly make you stand out from all of those other applicants. Many will be just as well qualified as you are so you will need to ensure that your statement of purpose for pharmacy is something special. This is one of the most important parts of your application and is your opportunity to tell the admissions committee who you are and why they should be admitting you to their program.The best solution as for you to make a good impression is by writing a good SOP in pharmacy. What Is the Correct Sample of SoP Format? Where formatting requirements are specified they must always be followed with care as poorly formatted documents may be rejected. Always use a minimum of 12pt text in a font that is easy to read such as Arial or Times New Roman. Never use fancy scripts or multiple fonts in the same document. Use wide 1” minimum margins on all sides of your paper so that it looks clear and uncluttered. Use only black text on white paper and never include any form of graphics or decoration on your statement. Avoid all forms of excessive text formatting such as bolding, italics and having words written in all capitals. 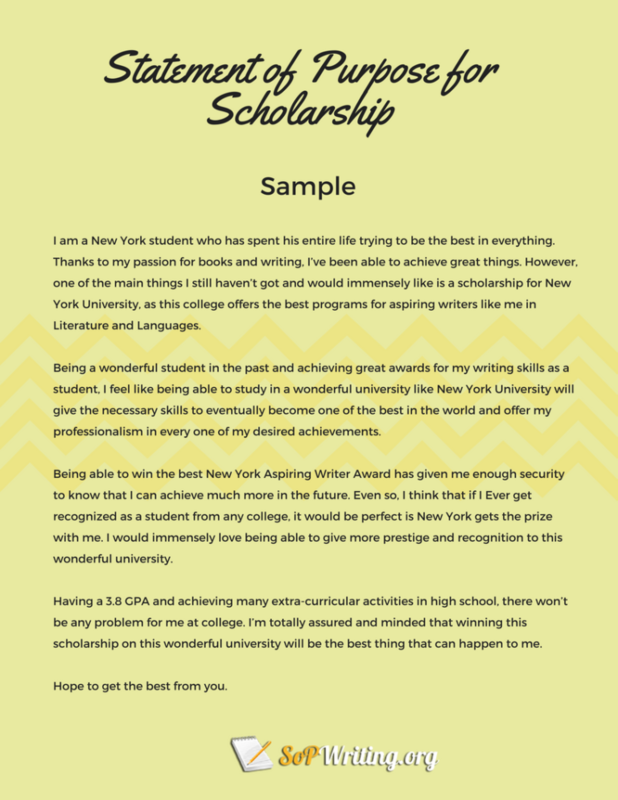 Whether you are applying to top universities, to internships and academic programs, it is important that you know how to dazzle the admission committee. Your statement of purpose will be used as deciding factor whether or not you have what it takes to be part of the best pharmacy programs. Choosing carefully the details you want to indulge is crucial especially if you are trying to win over your readers. Carefully check all of the requirements for your pharmacy statement of purpose and follow the programs guidance with care. 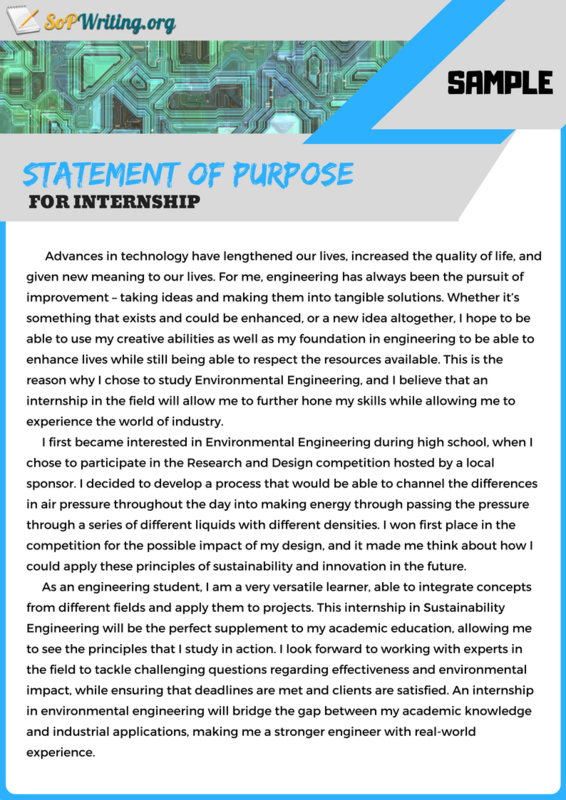 Take a look at our sample statement of purpose pharmacy to get an idea of how your own should be written and what it should contain. Read all available information on the pharmacy program that you are applying to so that you fully identify what they want in an applicant. This information should be fully reflected within your writing to match you to their expectations. Work hard on your opening lines: these must be capable of getting the full attention of the admission officers and getting them to want to read more about you. Tell the reader a story: never simply list facts as you would within a resume. Select a relevant anecdote and use it to form your story around so that your statement has interest and flow. Use language that anyone will be able to follow: never use slang or acronyms and certainly avoid any fancy words from your thesaurus that you would never use in everyday speech. Only write about yourself: your statement’s purpose is to let them know about you and your aims for the future not about others. Give clear examples of your skills: do not just make statements that are simply unsupported, always show what you are capable of. Keep your writing concise: use no more words than you need to. You have a limited word count so you must always ensure that every word counts. Always carefully proofread your pharmacy SoP: even a single mistake is enough to give the impression that you did not care enough about the application to check your work. Show the reader just how you became interested in following pharmacy for your studies. Demonstrate that you have the specific skills that will help you to succeed within a career in this demanding field. Make it clear what your future career plans are within pharmacy once you have graduated. Highlight what you will be able to bring to their program and what specifically you hope to take from it. Show your reasons for selecting their specific pharmacy program rather than another. Don’t simply reiterate what has been said in your resume or other parts of your application. Don’t talk about other people: the statement is about you. Don’t use the statement as a place to vent your complaints about anything. Don’t make excuses for any past poor performance or other shortcomings in your application. Don’t cover anything that is simply not relevant to your application, you are wasting your words. Don’t lie or exaggerate what you have done: this will often be caught later in the process. Don’t use humor: some may find it offensive others will simply see it as inappropriate. The main purpose of your statement of purpose is to demonstrate your expertise, qualifications and other factors that will make you a great addition to the program. Your SOP should be vibrant with relevant details and properly formatted as to lure in the interest of your audience. To make your pharmacy SOP persuasive and effective, be sure to check out samples online and even solicit help from experts. Utilizing any available resources is crucial especially if you want to improve your chances of getting into best pharmacy schools. Get started now and write premium quality pharmacy statement of purpose or statement of purpose format for MS today! 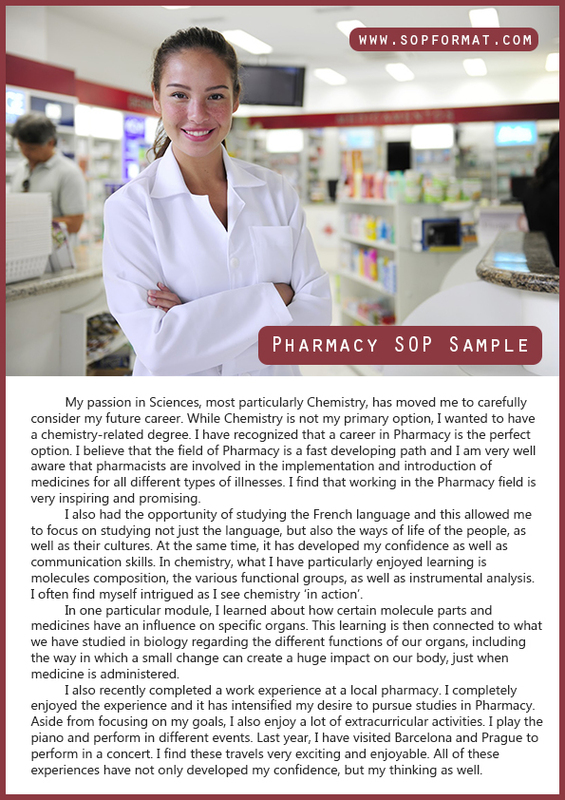 Make use of our professional pharmacy SoP template and advice with crafting the most impressive statement of purpose.